An important article presenting the first bottom-up analysis of the proportion of global marine fisheries subsidies to small-scale fisheries (SSF) has recently been published by TBTI members. The reported national subsidy amounts are split into the fraction that goes to small- and large-scale fishing sectors. Results reveal a major imbalance in subsidy distribution, with SSF receiving only about 16% of the total global fisheries subsidy amount of $35 billion in 2009. Furthermore, almost 90% of capacity-enhancing subsidies, which are known to exacerbate overfishing go to large-scale fisheries, thus increasing the unfair competitive advantage that large-scale fisheries already have. The developmental, economic and social consequences of this inequity are huge and impair the economic viability of the already vulnerable small-scale fishing sector. 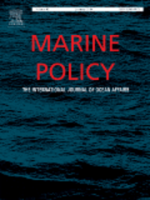 Conclusions indicate that taxpayers' money should be used to support sustainable fishing practices and in turn ocean conservation, and not to foster the degradation of marine ecosystems, often a result of capacity-enhancing subsidies. Reducing capacity-enhancing subsidies will have minimal negative effects on SSF communities since they receive very little of these subsidies to begin with. Instead, it will help correct the existing inequality, enhance SSF economic viability, and promote global fisheries sustainability. Rashid Sumaila, TBTI cluster coordinator and one of the researchers in this study stressed how “Efforts should be made in both large-scale and small-scale fisheries to convert fishing capacity-stimulating (harmful) subsidies to beneficial ones, those that focus on sustainability and ecosystem restoration. Such action will benefit global fisheries in the long-run, making them more economically viable, and a beneficial way to spend taxpayer dollars” (UBC Media Press). The paper is accompanied by a release of a newest ISSF dataset 'Country Statistic' composed of an interactive choropleth map which gives a visual display of various fisheries statistics, including subsidies. To see the distribution of SSF subsidies at the country level and how they compare to the large-scale fisheries subsidies, click here. The article is written by the former TBTI PhD student Anna Schuhbauer and her colleagues, both from and outside of TBTI network. The research was funded mainly by TBTI, the OceanCanada Partnership and the Canadian Fisheries Research Network, all supported by the Social Sciences and Humanities Research Council of Canada.